you’ll have to refresh the PPG to see the changes. The announcement of the new Max and Maya premium suites (which include Softimage and Lagoa) together with the relatively low profile of Softimage in the Autodesk marketing materials have caused a bit of a stir in the community. I thought the last time I wrote something like this, would be the last time. I am beginning to sound like a broken record; a record no-one obviously likes listening to. So perhaps this really is the last time I will play this message as it seems to make no difference. It seems now the Softimage community is only focusing on Autodesk’s marketing as the barometer for Soft’s future. Not “no marketing” but “less marketing” than 3ds Max and Maya. Or that the new Max and Maya products WITH Softimage means no more Softimage? This does not make sense. From all our interviews Max and Maya customers want Softimage (not just ICE, but ICE is often a big reason) in their toolsets. At an affordable price, that interops well. OK let’s give it to them, in the way they want it. There are many more Max and Maya customers than Softimage. Having product suites branded with the name 3ds Max or Maya are obviously targeted at selling to them. This represents a massive potential for Softimage. You might not agree with the naming, but you can’t argue the logic. Softimage as a standalone product is of course continuing as before (with some very exciting stuff in the works) and having the standalone product available to all Max and Maya users is a huge endorsement of Softimage and commitment by Autodesk.. Since the acquisition there has been repeated fear-mongering about Soft’s future. Even though in that time, we have had two major releases (3 in the last two years) and one minor (check what others have done in this time) and of course there is more to come. Even though we have exceeded revenue expectations, even though we are expanding our development. Even though fundamentally NOTHING HAS CHANGED, people choose to focus simply on a lack of marketing and not Autodesk Softimage’s track record. We still manage our own roadmap, with the exception of working well with other Autodesk apps. Something everyone has asked for repeatedly, especially ICE interop. Our philosophy will continue around ICE as the architecture on which to build – that includes one day moving into modeling. We have not abandoned other parts of the Software (see the list at the end of this mail) far from it – we have a very well defined focus and future. Final thoughts – for this is the last time I will do this. If you take one thing away from this mail, it is this. I’d forgotten about this until the other day when I tried to break my licensing for testing purposes. I spent 20 minutes trying to get Softimage 2011 to not start! No matter what I did it kept starting up, and to make matters worse, my ProductInformation.pit file has some minor corruption that crashes Softimage when I try to use Help > About Softimage > Product License Information. So I couldn’t check where Softimage was getting its license. I eventually resorted to using Process Monitor to watch the HKEY_CURRENT_USER\Software\FLEXlm License Manager\ADSKFLEX_LICENSE_FILE registry value, and I saw that xsi.exe was sticking 127.0.0.1 into the registry every time I started Softimage. So all I had to do was stop my local license server. You can use the Valve Source ModTool addon with the commerical version of Softimage, but if you are using 64-bit Softimage, none of the compiled Valve Source plugins will be available (because they’re all 32-bit). 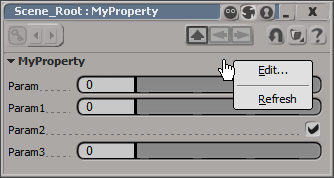 So, that means no SMD, Weight, or VMF import and export in 64-bit Softimage. You can use install 32-bit Softimage if you need access to these tools; 32-bit Softimage will run with the same license as 64-bit Softimage. Update 10 Dec 2010: See this post about finding shaders using the ProgID. AEA66631F7A7}), so FindObjects returns a collection that contains shaders in the scene. Note that the returned collection will include the soft_light shader, as well as several hidden Lambert shaders that are used under-the-covers by Softimage. The 64-bit version is here.